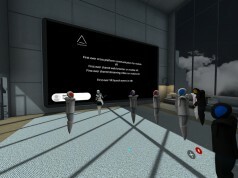 Massive multiplayer online (MMO) games with persistent worlds and real economies like Second Life haven’t reached critical mass in VR yet, although many in the community are counting the moments until they can live out their days immersed in all-encompassing virtual worlds. Enter MetaWorld, one such MMO launching on Steam Early Access September 29th that hopes to bring about an age of virtual land ownership. On the surface, buying a scarce resource (albeit immaterial) seems like a sound investment for virtual pioneers, the same instinct that continues to drive the cryptocurrency boom, but the waters invariably get murkier the farther you descend. Considering MMOs require a healthy player base to function, MetaWorld is hoping to invigorate its procedurally generated 10,000 square mile digital wilderness with a wide swath of the VR headset-owning market, including cross-play support for Oculus Rift, HTC Vive, PSVR, and Gear VR. For reference, MetaWorld is planning to cover an area about as large as the island of Sicily. 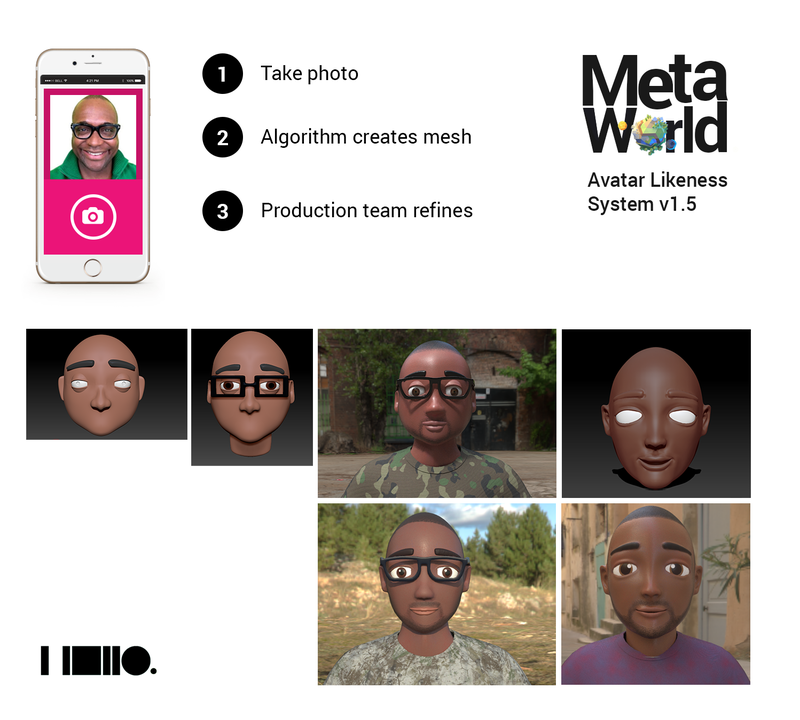 Developed by HelloVR, a studio founded by ex-Altspace VR director of user experience Dedric Reid, MetaWorld first suffered a rocky IndieGogo campaign that saw less than 10 percent of its $50,000 funding goal. 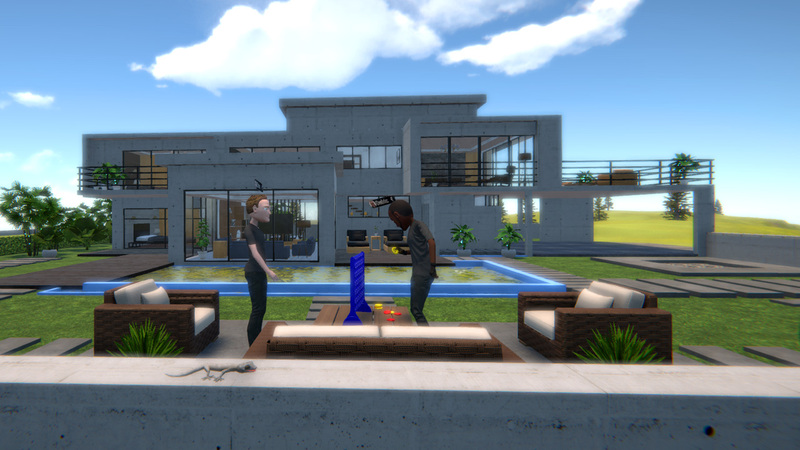 Undeterred by the lack of community support, Reid continued development on the free-to-play world, which he’s hoping to monetize by selling plots of land that come with ready-made structures, ranging from a 1/2 acre plot with rustic log cabin to a 2-acre plot with ultra-modern space intended for vendors. 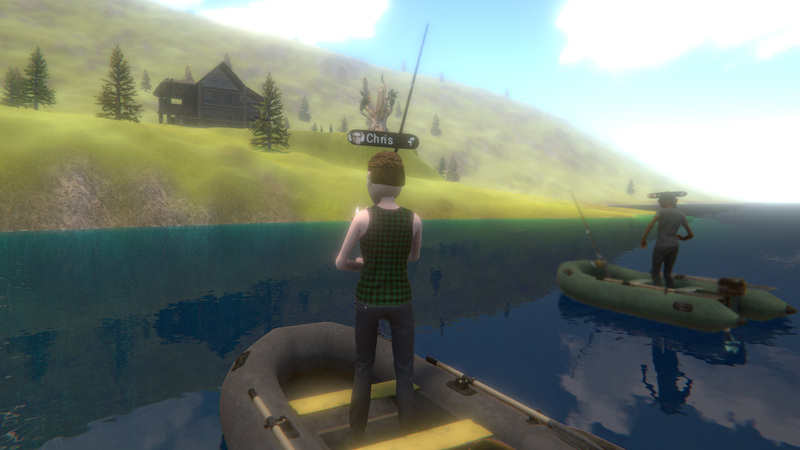 Built with SpatialOS, a platform that lets game developers stitch together multiple servers and game engines to power large-scale persistent worlds, MetaWorld also purports to offer detailed environmental simulations, complete with wind-swept trees and different animals like fish, foxes and deer that roam the map. Prospective vendors will own a larger piece of the world, and have access to world-building tools that let them create a unique space as well as the still undefined ‘vendor tool kit’, presumably a way of creating unique world items so you can earn in-game credits. The company also promises its class of vendors a more ‘true to life’ avatar created by the team based on a picture of the person. The economy, while presented in vague terms, promises to allow users to buy and sell anything, and also let vendors monetize their space. 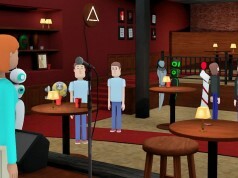 The company hasn’t mentioned its in-game currency outside of the IndieGogo campaign, so there’s still no telling if it will essentially be based on microtransactions, or function like Second Life’s Linden dollars, a currency that you can actually buy (and earn) and use for digital purchases and then convert back to regular currencies like the US dollar or Euro. HelloVR co-founder Carleton DiLeo left the company before the ill-fated IndieGogo campaign was devised. According to a post on DiLeo’s blog where he distances himself from MetaWorld, he isn’t sure how Reid can deliver everything he’s promised. Unfortunately, after the press showing, I ran into a number of issues with SpatialOS due to required version upgrades and bugs with SpatialOS itself. Improbable was busy with other things so they were unable to help. I slowly worked through some of the problems but progress was slow. I started to feel that making a massive VR experience wasn’t going to be possible. At our current trajectory it would just take too long. I still wanted to create something that allowed people to be able to visit a living world together from around the globe. 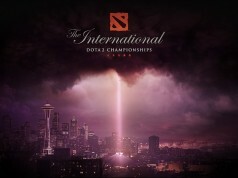 To get there we would need more support from Improbable and a much bigger team. Funding efforts weren’t going well because investors wanted to see more before investing. The time required for one developer/game designer and a designer to create what we need would just take too long, we needed more help which costs money. This became a contention point between me and my business partner. Eventually I just didn’t see a future in continuing the way we were. I decided to stop working on MetaWorld and focus on a new title called Community Garden. Community Garden would start small to prove the viability of building persistent VR worlds in SpatialOS. I was surprised when I found out my partner had started an IndieGoGo fund. To avoid confusion, I wanted to make it clear that I’m not currently working on MetaWorld and I don’t know how my partner plans to deliver on the promise of the fund. If you plan on donating to the IndieGoGo fund, please note that none of the work I produced for the MetaWorld you see in videos like the one above is what will be delivered. You won’t find this information conveniently listed on the MetaWorld website though, but rather strewn across various Reddit pages where the creator sporadically posts, oftentimes in cryptic, single-word answers. At the time of this writing, the game’s website only consists of press blurbs gathered from before the IndieGogo campaign was launched and a small marketplace selling the game’s three plot sizes. The custom avatar mentioned above is only detailed in a 2 month-old post on the company’s Reddit page. It still isn’t clear how much is truly at stake for landowners or the landless free-to-players at the moment either. Questions like: can animals or other players kill you? If you die, do you lose your items? Can you trade in-game credits back to real cash? Can you craft items, or do you have to buy everything from vendors? The list of unaddressed questions goes on in the game’s largely abandoned discussion board on Steam. Do people have such terrible lives that they need to have a second one in virtual space? I would and have NEVER spent a penny on virtual stuff. It would be absolutely idiotic to buy virtual land. I wouldn’t buy stuff in VR either. .. but I am hoping to create and sell stuff. People spend ridiculous amounts on game assets in MMPO’s (especially in China). So I have hope. I am one of the earliest developers in this wanna by startup. Dedric Reid founder and ceo fooled me into working for him for few months, postponing payments for job I’ve made until he will find the investment which he never did. If there’s any other developers cheated by this guy- pm me maybe together we could get our payments back. Both High Fidelity & Project Sansar are in free open-beta right now with plenty of free land available. Both have a lot of promise, but are still definitely beta, not very newbie/user friendly yet. Still in early stages, but MUCH further along than Metaworld appears to be.. This is laughable when taking into consideration Second Life or Sansar. I own a parcel in the worlds first truly persistent simulated world for VR. I’m looking forward to the ICO. Second life or Sansar are not in the same class!